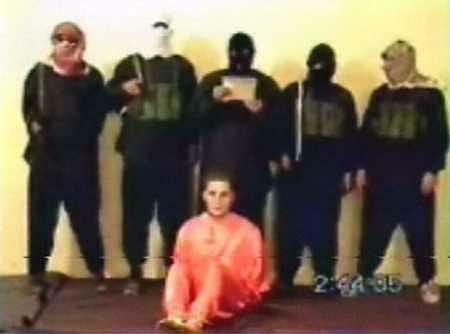 ISIS prepares to behead Nick Berg. Pray their eyes will be opened to this horror. Photo: “Nick Berg and Five Men” Licensed under Fair use via Wikipedia. Now that we have prayed through the story of Paul; we will look at one of Paul’s letters and ask God to pour out his spirit on ISIS and bless them with real fruit- the fruits of the spirit. We are asking for the transformation of hearts! We are asking God to give them new hearts that are founded in Christ! God loves it when we speak his words back to him in prayer. So for the next 10 days we will speak scriptures concerning the fruits of the spirit to God as prayers. We will pray for God to give ISIS members his spirit to walk rightly before him. After you have prayed these verses and sung these songs, You might wish to print this page and color in the fruit on the picture below and proclaim that the Lord is able to give that fruit to ISIS, whether or not you print and color in this picture!